Mist on the refreshment of roses. 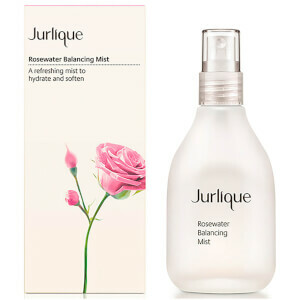 Jurlique Rosewater Balancing Mist is a refreshing, hydrating treatment spray that replenishes moisture and balances the skin. It soothes any redness and irritation and also provides antioxidant protection. For those with normal to combination skin who want hydrated, renewed and toned skin. I use Jurlique Rosewater as a premoisturizer before I put on my serums, moisturizer and sunscreen. I like this particular brand of rosewater because it has antioxidants so I get double benefits. I also use as a setting spray for my makeup. I just ordered the bigger size because I spray on my face and dÃƒÂ©colletÃƒÂ©. At night I also use it in conjunction with the rosehip oil. Lastly, it smells divine and refreshing. LOVE! Balances, refreshes, soothes, smells like roses! I love this product. I keep it in my refrigerator and use it liberally on body as well as face. It is soothing and refreshing and the scent is beautiful. I use it as a toner and it is great! Fast absorbing and smell wonderful.